"While your first three CDs were very good, your new one is a quantum leap .... I am sure it will be on my Best CDs of 2011 show next January. Each month I feature an artist of the month on Good Morning Jazz ... 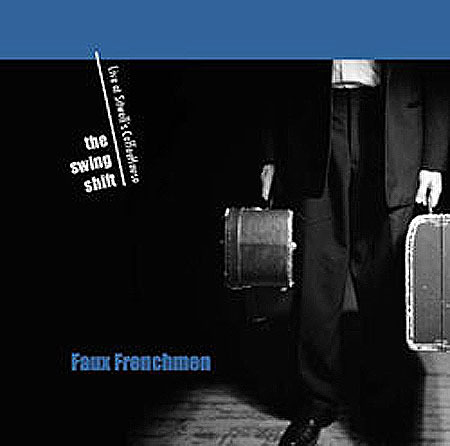 The artist of the month for March will be The Faux Frenchmen. Congratulations on producing a great CD." 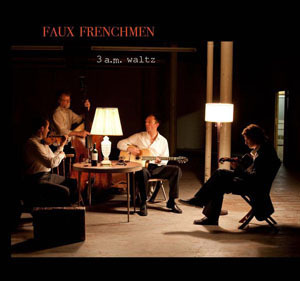 3 a.m. Waltz features ten new Faux French compositions including Brian's "Trading Knick Knacks for Macaws," Paul's "Rumpus at the Athenaeum," Don's "Stompin' at Tink's," and George's "Repiphany." Like our first three, the album is produced by Brian Lovely. It's available at all Faux shows and at Shake It Records in Northside. Available through Paypal for $15. Our third album is a twelve song collection that was recorded live in June 2010 at Sitwell’s Coffee House and produced by Brian Lovely. 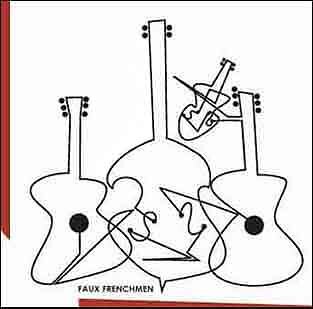 It features fiery performances of Hot Club of France-inspired jazz standards and original Frenchmen compositions. The Swing Shift received "More than Honorable Mention" nod in Cincinnati City Beat's list of the best local CD releases of 2010. Our second CD received a 2008 Cincinnati Entertainment Awards nomination in the "Album of the Year" category. 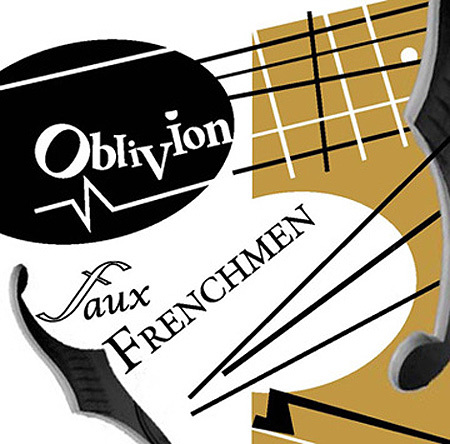 Seven of Oblivion's eleven tracks are original Frenchmen compositions. Available through Paypal for $15, or download here. Our first eponymous CD features the eclectic mix of 30's jazz, pop gems, and cartoon music our fans and friends know from our live performances. Available through Paypal for $15. We're also available for download on iTunes and Rhapsody. It's currently available with our other discs at Frenchmen shows, Shake It Records in Northside, Everybody's Records in Pleasant Ridge, Joseph Beth Booksellers at Rookwood Commons, and at the Cincinnati Art Museum Giftshop. Mail order CDs by emailing us at lastbiscuit@hotmail.com.